Before i start to write anything about which lens is the best and something similar …. allow me to clear this point at the beginning that no one has paid me to write anything about best lenses for Nikon. What ever i am going to write is totally based on my hands on experience with lenses that are Nikon F Mount ….. So ….. Shall we start? Nikon has a rich history of making some awesome lenses from not only new G-Series but also some old manual focus AI-S lenses which were made like 15-20 years old and they still rocks. In case is some one is wondering how to identify best lenses for Nikon over the period of time then i suggest to the respected readers to check out this link, it will help them to understand the terminologies and acronyms which you will be reading next. In this blog i will try to be as simple as i can be so all readers will understand based on what attributes i am suggesting any lens. Lets divide best lenses for Nikon into 3 general category which sounds familiar …. Lets discuss one by one which lens is the best lenses for Nikon in each category. Also note that i will be including zoom and prime lenses in each category along with Auto Focus and Manual Focus lenses. Also i will be mentioned and recommending lenses which is the best in low budget and still gives the best performance. This category is simplest. No rocket science. The king of the ultra wide angle lenses was (and still to some landscapers) Nikon 14-24mm f/2.8G ED. But its price is way expensive which is roughly $1,600. Some how Tamron did a magnificent job and dethrone the mighty Nikon 14-24mm with its Tamron SP 15-30mm f/2.8 DI VC which is around $1200. But the problem with both lenses is that they are having huge front element using which you cannot mount any typical filters on it in general practice to capture any long exposure or landscape images. Though there are few companies making filters for these 2 lenses which you can find here but keeping in mind that the choices for the filters using this assembly is very very limited. Then here comes to rescue Nikon 16-35mm f/4 VR which is around $1100 or less depending from where you are getting. But still that sounds expensive. Then here comes the most budgetary & sharp wide angle lens which is Nikon 18-35mm f/3.5-4.5G ED which is around $750. The best part for the Nikon 16-35mm f/4 & 18-35mm f/3.5-4.5 is ….. You can use “Filters” in front of them as both comes with 77mm standard filter thread for mounting these lovely filters for the long exposure and Graduated ND filters for Landscapes shots. Now here comes the choice ….. Price vs Performance ….. If you are really tight with budget then go straight away with Nikon 18-35mm f/3.5-4.5G ED. It will really going to save your day in case if you are shooting events and stuff in low budget profile. If money is not an issue and you still want to use filter with more wider angle then Nikon 16-35mm f/4G VR is the best choice. And if you have money and you dont want to use filters then its totally your call if you want to go the widest of them all which is mighty Nikon 14-24mm f/2.8G ED or Tamron SP 15-30mm f/2.8 Di VC. BTW …. there are also some unsung heroes which many people don’t know or even heard about like Nikon 17-35mm f/2.8D IF-ED which is insanely expensive around $1700 and its not that good like Nikon 14-24 or Tamron 15-30mm. Then there are some old buddies from the film time like Nikon 15mm f/3.5 or f/5.6 AI-S (both are the same optically) and they are manual focus lenses. Their price varies from $1000 ~ $1500 depending from where you are getting it. Now question is why they are so expensive even being classics and with no Auto Focus in it? …. The answer is ….. These lenses are among very very few lenses in the world who are “rectilinear” means they have ZERO Distortion. There is one another lens in the world which is the “widest” from Nikon till date and it is also a “rectilinear” lens and it is so unique that you cannot find it ….. they call it ….. “The Holy Grail” ….. Nikon 13mm f/5.6 AI-S …… and its price is ….. NO BODY KNOWS ….. why? ….. because Nikon only made 350 of them in total from its production era (from 1976-1998). That lens is priceless. You can search on google about it and then you will know why they call it a Holy Grail and why its insanelyyyyyyy expensive. Fortunately i found one 15mm f/3.5 AI-S from ebay. Its construction is total metal ….. Body ….. lens hood …. all metal. Means its rock solid and will survive multiple life times unlike any of the above plastic made lenses i mentioned above …… and BTW …… that 15mm is really SHARP. The only draw back of these 13/15mm AI-S is ….. they produce too much ghosting and flare even if small light source pointed towards the lens and its not into the frame because they dont have nano crystal coating on their lens elements which causing these ghosting and flare to be remove. Also there is another hidden GEM which no ones knows is Nikon 28mm f/1.4D. Back in late 1990’s, it was the most famous lens and can be found in every Photo Journalist camera bad. Un-fortunately Nikon stopped making that lens because it was too expensive for them to make it. Its still found online on ebay and both price and performance of this lens is very very high. BTW, that lens can be very handy for wedding shots. When it comes to prime, recently Nikon introduced some really low price primes with superior optical performance in the focal length range of 20, 24, 28 & 35mm and all these one of the best lenses for Nikon are coming in f/1.8G aperture. BTW ….. You dont need f/1.4 for the wide angle shots unless you are doing “Astro-Photography”. But among them, the best is 20mm f/1.8G ($750) which is insanely sharp and very light weight. That lens is producing some really nice high contrast images. I am glad i did the right decision by buying that lens. BTW ….. i am NOT going to recommend Carl Zeiss wide angle lenses like 15mm or 21mm. Ziess is the best in the portrait focal lenght of 50mm and above but when it comes to wide angle lenses Ziess performance is considerably poor then the rest of the lens manufacturer with only one exception and that is Carl Zeiss 35mm f/2.0 Distagon T* ZF.2. Its considerably an expensive lens with a price tag of $1200. But ….. Boy oh Boy ….. that lens sharpness is Inter-Galatic ….. I own this lens ….. fortunately found a used minty piece online at half price as the owner is not using it for a long time and decided to sell it. The shots from that lens is just out from the world ….. Trust me when i say this ….. i have used many lens ….. but so far ….. i have not seen the sharpness ….. colors ….. contrast ….. acutanse which this lens is producing, the other lenses have no match to it ….. its really inter-Galatic lens ….. its results just mind boggling. You will be blown away …. Just take a look below on a sample image right from the camera ….shot @ f/4 ….. and its SOOC. BTW ….. Zeiss has just stopped making this lens. So if you finds a copy of this lens from any where ….. grab it ASAP before it get classic and becomes more expensive. Another wise and economical choice for the starters is Samyang 14mm f/2.8 ($329). It was my very first ultra wide lens before i switch to Nikon 14-24mm f/2.8G ED. The performance of its not like Nikon version but it produces some descent sharp images at very economical price. In case if you are tight with budget then this lens it the life saver for many landscapers. So summing up the wide angle category, the best budgetary wide angle zoom lens will be Nikon 18-35mm and best performance lens will be 16-35mm f/4 VR who BTW produces stunning micro contrast if you are shooting B&W images. In prime lens category, i highly recommend Nikon 20mm f/1.8G followed by Nikon 24mm f/1.8G. But if you want the best of the best of the best in wide angle primes ….. then Carl Zeiss 35mm f/2 Distagon T* ZF.2 is answer. Another strong candidate for the wide angle primes is Samyang 24mm f/1.4 lens ($650) and as per DXO mark rating, that lens offering more sharpness then Nikon‘s own 24mm f/1.4G ($2000). I have used Samyang lenses and trust me they are making some crazy sharp lenses. The only draw back is, they are making manual focus lenses which will disappoint many young talent who totally rely on Auto Focus. This category is simple and mostly based on prime lenses which means not many lenses to talk about. I already covered the 35mm focal length using the Carl Zeiss example in the Wide angle lens category which i should have mentioned in this category but its ok. BTW you can still consider Samyang 35mm f/1.4 UMC lens ($450) and its performance is mind boggling considering its pricing. I own this lens and its performance is so incredible that i never felt that i need Nikon 35mm f/1.4G ($1500). But again, its a manual focus lens. Now what other best lenses for Nikon do we have !!!!!! Normally after 35mm, you jumped directly to nifty fifty 50mm focal length. I have used both Nikon 50/1.4 D and G type and i found both equal with micro upper hand of a G-Type over a D-TYpe. D-Type ($334) is more cheaper and almost equal in performance of the G-Type ($400). If one cannot afford the f/1.4 version then the best deal will be Nikon 50mm f/1.8G ($217) which is new, cheaper & optically equal. Then there is the only single f/1.2 lens from Nikon which is 50mm f/1.2 AI-S ($700). Though it is a manual focus lens but Nikon is still making that lens for a reason. Optically it is a challenge to a photographer to get the tek-sharp images at f/1.2 by going manual focus. (Not an easy task for a Rookie). I kudos to Canon who is the only company in the whole world which is making Auto Focus lenses for f/1.2 aperture category ….. including the legendary 50mm f/1.0L which is legend and hard to find now. But among best lenses for Nikon ….. the real fun starts when 58mm focal length makes the entry. 58mm focal length is the most versatile focal length because if you use this focal length on a APS-C sensor you will be getting 87mm prime lens angle of interception which is more good for portraits. Here is another interesting fact. Canon users says that the shallow Depth of Field in the 50mm category is produced by their famous 50mm f/1.2L ($1350) lens as we speak. Well that’s not true ….. the shallowest DoF is produce by Nikon 58mm f/1.4G ($1600) condition provided shooting at the widest aperture and same distance. Why ???? because of that extra 8mm that Nikon lens got. 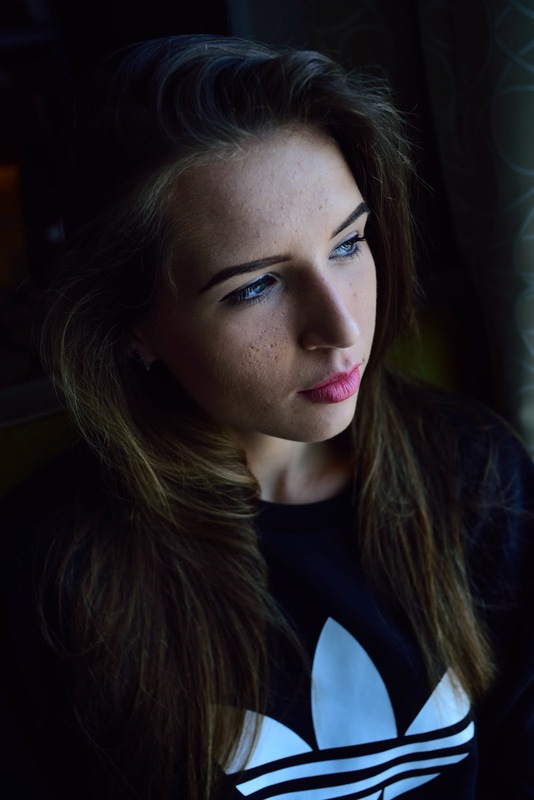 But i am not going to recommend Nikon 58mm f/1.4 lens at all ….. reason? First off ….. its very very expensive if we talking about 50mm category, but in my opinion it is not the best lenses for Nikon ….. Second reason is, its made of plastic mostly. So whats the alternative? …… Its Voigtlander 58mm f/1.4 SL II which is costing almost 1/4 the price of Nikon 58mm version and it is around $450. That lens built is all metal ….. like a Tank ….. its building quality is equal to Leica lenses which cost around $5000~$10,000. So now you can enjoy Lieca quality lenses at 1/10 of a price. I own one copy of that 58/1.4 from Voigtlander which i found online second hand used and its optical performance is something that i have not seen in 50mm category at all. BTW ….. its a manual focus lens which may turn off many photographers ….. specially young talent out there who totally depends on Auto Focus and dont know how to do manual focus. Well all i can say …. either pay $1600 for one lens with Auto Focus ….. or learn manual focus and safe 3/4 amount and buy manual focus Voigtlander 58mm f/1.4 SL II and other lenses from the saved budget. Which way sounds more logical? Check out below the sample image from this lens straight out of the camera shot at f/1.4. Picture Control was set on Vivid with additional contrast on D750. One last best lenses for Nikon in this category is 60mm …… there is only lens i recommend which serves as a TRIPLE PURPOSE ….. Nikon 60mm f/2.8D Macro. I already mentioned its triple effect in a separate blog which you can read here. Just buy that lens and you will be a happy camper. This last category is stretched over many best lenses for Nikon…… let me list them down first which will make life easy for me. If you own or going to own any of these lenses from the below list, you will be having a best result at very economical price. Before i write anything further, let me clear that in this category the lenses which are highlighted in Cyan are all manual focus old lenses. 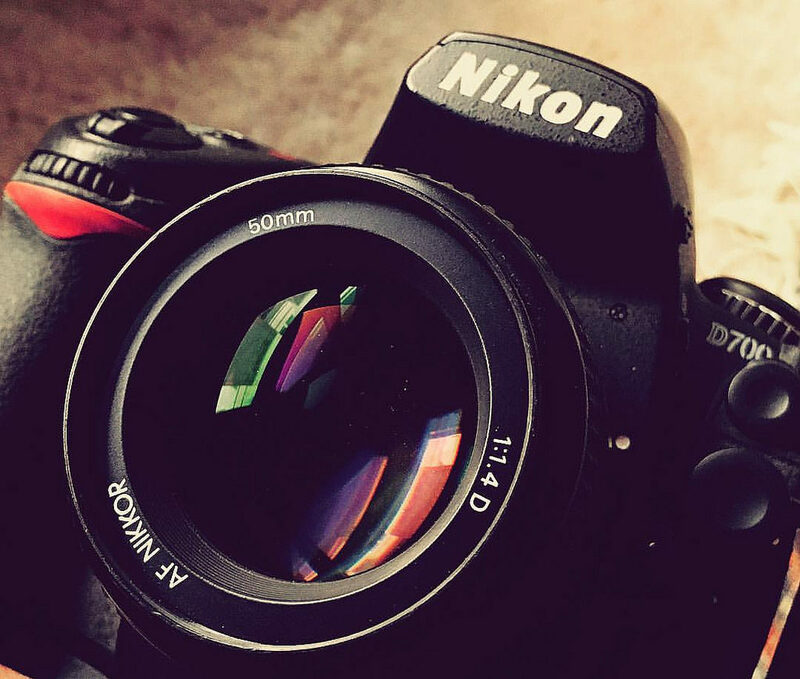 These best lenses for Nikon are no more in production and these are the best of the best. All these best lenses for Nikon are comes with less glass element count which means the images are going to be POP-OUT from the screen like u see in 3D movies. Yes …. any lens which comes with less glass elements produces better image quality (not talking about sharpness only). When light enters into the lens from the front element, it get “processed” and WELL DONE by the different glass elements inside the lens and then the processed light get out from the rear glass element of the lens and fall over the sensor. Many fellow photographers doesn’t know the fact that the more glass element inside the lens, the more image quality is going to be destroyed. The less glass elements inside the lens produces far better results …. so that’s why all these lenses highlighted in Cyan produces far far far better results because they are having less glass element in it in compared to these new modern day Auto Focus Prime/Zoom lenses with like 16 or 23 glass elements in it. Just to let you understand what i means to say here by less or more glass elements. Just imagine ….. what will happen if you hit your head on a wall 5 times ….. in compared to 23 times? Chances of less damage lies where? …… You know the answer ….. isn’t it 🙂 . Among the top list, my most favorites lenses based on their superior optical performance are the following and I highly recommend them. – 85mm f/1.4 Samyang ($280) To tell you the truth about this lens, its performance is so remarkable that i never had the need of Nikon 85mm f/1.4G ($1600) which is like 5x times the price of Samyang. Why its so cheap? because it is a manual focus lens. When you hold this lens and start rotating the focus ring, its soo buttering smooth and focus ring throw is long and fine enough that provides you plenty of room to fine tune the focus. Also this lens is for Nikon mount so some how Samyang is able to put in the AE chip inside the lens along with the focus confirmation which is not bad at this low price. Note that all top lens manufacturing companies in the world who producing expensive glass are making manual focus lenses like Carl Zeiss Otus 85mm f/1.4 which is $4000 on average. Imagine you are paying so much money to have an expensive glass like this and still not getting Auto Focus !!!!! How painful is that 🙂 …. Keep that in mind there is a reason these companies are not putting AF system inside these bigger aperture lenses one will learn ones you start using manual focus lenses. – 105mm f/2 DC Nikon ($1200) The best Bokeh with sharpness you can get from this lens. It is far better and far sharper then its own big brother Nikon 135mm f/2 DC ($1350). – 135mm f/2 AI-S Nikon ($600) Optically sharper and its cheaper then Nikon 135mm f/2 DC. – 135mm f/2.8 AI-S Nikon ($250) Optically superior and crazy sharp just like 105mm f/2.5 AI-S. You can say that both are cousins offering same level of performance. Note that there is also another version of it which is Nikon 135mm f/3.5 AI-S offer the same excellent optical performance. – 180mm f/2.8D ED-IF Nikon ($1000) It produces images with 3D rendition hint & sharpness is totally what you have no seen before. $1000 price is for new but you can find online second hand some where around $400 ~ $500 depending on condition. Highly recommended. – 200mm f/4 AI-S Nikon ($150 ~ $200) Best & most compact 200mm lens at the most economical price. I literally tested this lens @ 200/4 with the Nikon 70-200mm f/2.8G ED VR II at the same 200/4. But some how that manual focus AI-S produces some 3D image rendition which i have never witness before. 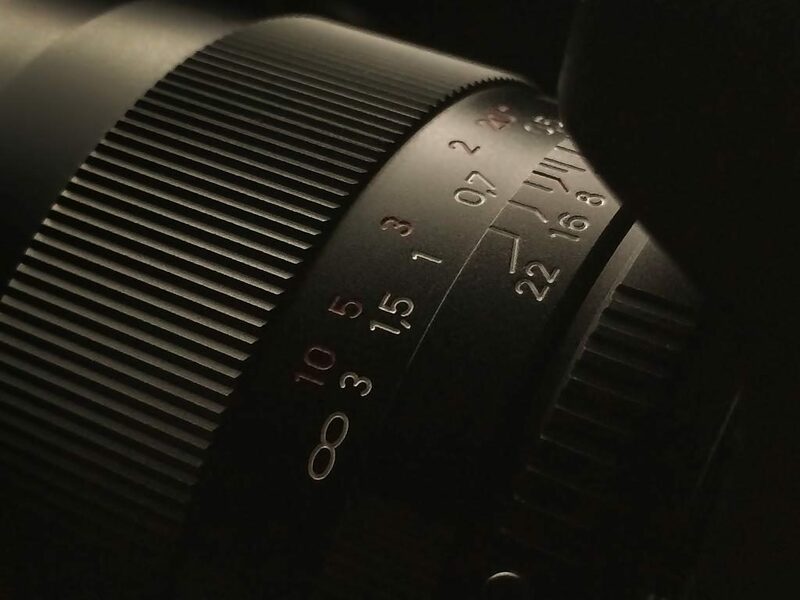 The images produced by this lens just POP’s out from the screen when you see them. People who bought this lens based on recommendation are happy campers. – 120-300mm f/2.8 Sports DG APO Sigma ($3000) Among my most fav. list of the lenses, the only expensive lens is this one. Why i included it? Because it is the only lens in the 300mm category which produces very sharp images with high contrast at comparatively low price then what Nikon can offer at aperture f/2.8 at this focal length. Also you will be having zoom range from 120-300mm which makes it more practical and versatile to use for birding by putting 2x Teleconverter. No other lens manufacturer offers any thing like this which optically superior & versatile at the same time. So guys …. here i am going to end this blog by stating that ….. all best lenses for Nikon that i recommend are based on my practical hands-on experience. I am sure there are many best lenses for Nikon from my this blog you come to know for the first time …. That’s one of the another reason i am writing it down so people can learn whats the best out there at the most economical price to get better images. Now many will wonder like where is 24-70mm f/2.8G or 70-200mm f/2.8G ED VR II lenses? Well first off, these best lenses for Nikon are covering multiple category so judging their performance based on the spectrum that they are covering is in my opinion is not something right. We can have separate blog in future for the zoom lenses only.